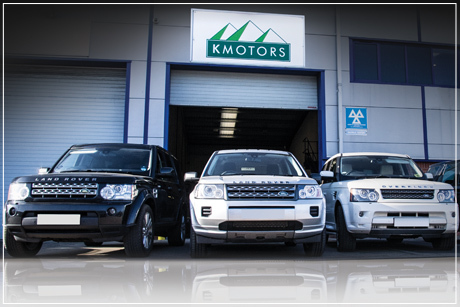 Lancashire’s Independent Specialist in Land Rover® vehicles, serving Preston, Chorley, Leyland, Blackburn, Blackpool, Wigan, Bolton, Manchester, Liverpool, Cumbria and Cheshire as a value-for-money alternative to the main dealer network. Supporting the Land Rover® owner since 1957, providing quality maintenance and repairs for all models. Employing the latest diagnostics and countless years of experience on both Land Rover® and Range Rover® vehicles, we aim to exceed dealer standards while saving you up to 50% on original parts and skilled technician time. Taking Land Rover® or Range Rover® diagnostics beyond the capabilities of your local garage and usually the main dealer, we believe our technicians are second to none for difficult repairs at the right price. Replacing wishbones, steering racks and EAS compressors. Body-off work on RR Sport, DS3 and DS4. Accurate 4 Wheel Alignment. Offering full diagnostics using Autologic, SDD and Pathfinder covering all Land Rover® and Range Rover® models. Use our Live Online Booking Facility to check availability and book an appointment. Our labour rate for a diagnostic technician is £50 excl vat per hour. 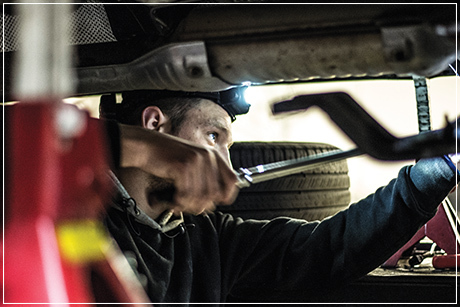 Our qualified technicians have 40 years combined experience on the Land Rover® Marque. We offer keen labour rates and carry huge parts stocks. We employ the latest diagnosic techniques and benefit from full technical backup (Autologic). As a reputable business following the OFT code of practice we provide quotes or estimates before starting work. If problems or delays are encountered we will be in touch straightaway. From January 1st 2016 we have standardised our servicing prices and extended our FREE COLLECTION service to a 5 mile radius of our premises in Leyland, Lancashire. Or use our Live Online Booking Facility to check availability and arrange a collection or drop-off on your chosen day. They fitted me in when they were already really busy, gave me a price and it came in at exactly the cost they said. Great customer service and great work, would definitely recommend using them. I have tried other garages and they charge too much or lie, these guys are honest, good and have a fair rate!